1. Get Creative – At the start of the Seder have everyone pick a card which has three words on it – two of which are closely related to Pesach and the third of which is a little random. The goal is for participants to ask a question or to say a sentence at some point during the night using all three of their words without getting caught. A person wins if a full minute passes after using the word without being accused of completing the task. -Do you believe the Israelites will actually make it to freedom? -If you could say one thing to Moses, what would it be? -What special things are you bringing with you as leave home? -What did the Sea of Reeds look like when it parted? 3. Stand with Refugees – Print out a Seder supplement from HIAS and hold in solidarity with current-day immigrants and refugees on this holiday that recalls our own painful experiences in a land not our own: www.hias.org/passover2016. 4. Puzzle It Up – Visit the website edubakery.com/Bingo-Cards/Passover-Bingo-v1-Bingo-Cardsto create a Passover Bingo board to use around the Seder table (participants mark off items on their card when they hear that word mentioned in the Haggadah). 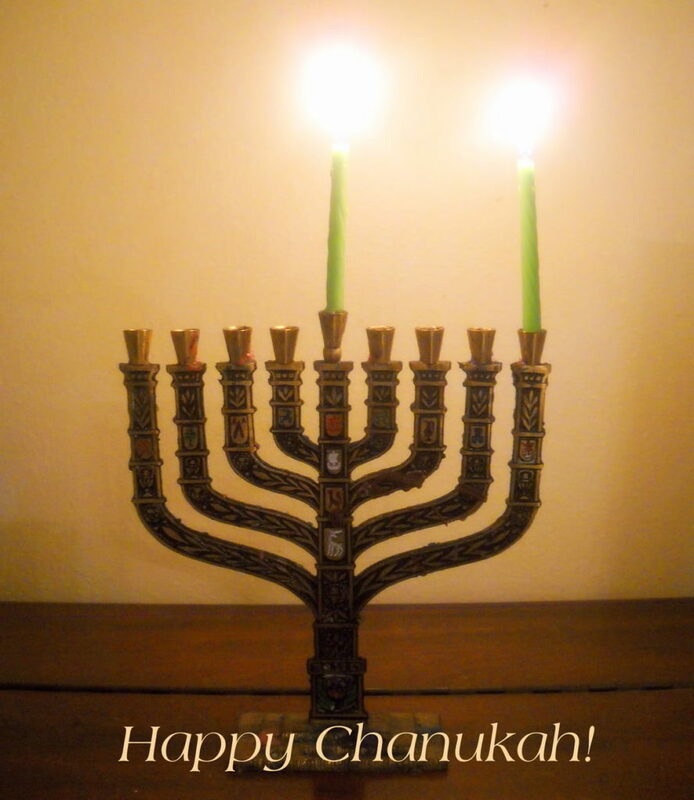 Or, if your holiday observance allows for it, use the site to create Passover word-searches, crosswords, and other games to keep younger children occupied. 5. Make Charoset – Create a make your own charoset bar with lots of items to choose from: dates, figs, apples, coconut, walnuts, almonds, pistachios, dried cherries, chocolate chips, mashed banana, craisins, raisins, mango, orange, strawberries, pomegranate, honey, cinnamon, spices, wine, grape juice, etc. Guests mix their own selections in preparation for the seder. Extra points if someone can explain how the items they chose teach us about slavery and freedom! 6. Connect the Dots – Prepare two bags, one which has a bunch of cards with Pesach-identified nouns (Moshe, charoset, liberation, Miriam, parsley, etc.) and the other which has cards with random items listed (the US Supreme Court, Nigeria, an iPhone, bananas, a rainbow flag, ice, etc.). Divide guests into teams of two to four players. Each team picks one card from each bag and then has a minute to come up with Six (or Fewer) Degrees of Sederation that connect the two. (For example: charoset and iPhone– Apple/apple in one! ; parsley and Nigeria – Nigeria is in Africa where the Israelites experienced the terrible slavery of which dipping parsley in saltwater reminds us; etc.). 7. Act it Out –Use the following 10-minute Seder script to tell the Passover story rather than reading it word-for-word from the Haggadah: https://www.haggadot.com/clip/passover-play-ten-minute-script-all-ages. 8. Ask Important Questions – Based on the ancient Greek symposium, the seder was originally intended to be a great philosophical meditation on themes of justice and freedom. Spark discussion with some of the big questions listed here or create conversation starters of your own: https://labshul.org/wp-content/uploads/2016/04/sayder-fold-out.pdf. 9. Split the Sea – Engage young children before Seder night by making creative and topical centerpieces, name-cards, or other decorations including this one: https://www.creativejewishmom.com/2010/03/kids-crafts-for-pesach-krias-yam-suf-the-splitting-of-the-red-sea-diorama.html. You might also consider decorating the room in which seder is taking place in a special way (like an ancient Israelite tent with scarves and pillows on the floor, like the Red Sea with waters to cross through, etc.) and/or having the seder leader dress up for parts of the ritual. 10. Go Out of Order – Before the night begins, copy the tale of the Exodus (from the Haggadah or an online summary or a version you create) and cut the text into enough sections that each Seder guest receives one. Randomly distribute the pieces and then work as a group to put the story back in order – each person reading their text when appropriate – as you arrive at the Maggid (telling) part of the Seder. 11. Dip It Up – While it is traditional to dip a green vegetable like parsley into salt-water at the Karpas (Spring Greens) stage of the Seder, there’s no need to stop there! Getting creative with other kinds of dipped foods (vegetables into guacamole, bananas into chocolate, etc.) can stave off hunger pangs and prompt the very kind of spontaneous questions that are meant to be at the heart of the seder ritual. 12. Keep a List – Prior to the seder, write down the name of the person using each Haggadah in the book’s cover (this can immediately serve as a kind of place-card, with individuals walking around the table to find their designated Haggadah, and ultimately serves as an archive whereby each Haggadah contains a list of everyone who has ever used that book in the past). 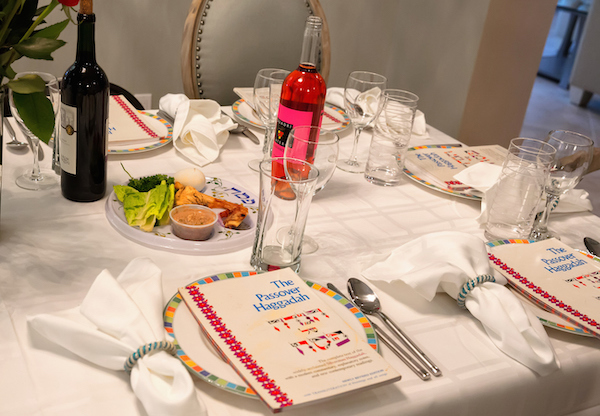 In years to come, begin the Seder by having everyone share the name of the person who used their Haggadah last year and naming one thing that they love about this person! 13. Fight for Freedom – Dedicate each of the four cups of wine to a different individual or organization working to end oppression and work for justice in our world. Consider having the afikoman “present” be a donation towards one of these important causes or using the Omer period (the seven weeks between Passover and Shavuot) to engage in some kind of volunteer work that furthers these values. 14. Make It Personal – The Haggadah tells us that in each generation, every individual should feel as though he or she personally escaped from slavery. Thinking about the escape from Egypt as a personal journey, ask Seder participants what they are hoping to leave behind this year as we gather for Passover and where they hope to go in the coming year. 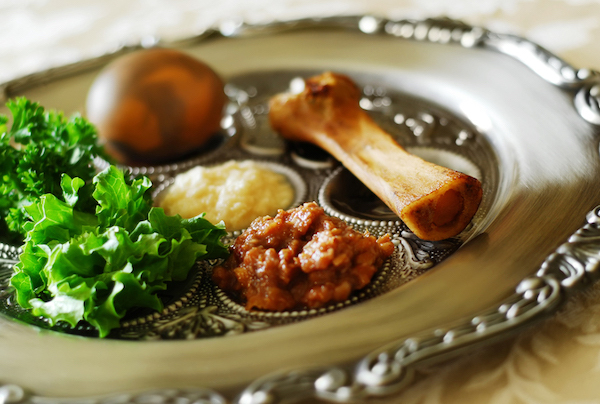 Click Here for Passover 101! I, the undersigned, fully empower and permit Rabbi Yossi J. Liebowitz to act in my place and stead, and on my behalf to sell all Chametz possessed by me, knowingly or unknowingly as defined by the Torah and Rabbinic Law (e.g. Chametz, possible Chametz, and all kinds of Chametz mixtures). Also Chametz that tends to harden and adhere to inside surfaces of pans, pots, or cooking utensils, the utensils them- selves, and all kinds of live animals and pets that have been eating Chametz and mixtures thereof. Rabbi Yossi J. Liebowitz is also em- powered to lease all places wherein the Chametz owned by me may be found, particularly at the address listed below, and elsewhere. Sprinkle 1 cup of sesame seeds with a pinch of flour and toast lightly in a heavy-based frying pan over a medium heat for 4 minutes or until lightly golden. Shake the pan often and stir with a wooden spoon. Transfer to a bowl. Repeat this process, 1 cup at a time, with the remaining four cups of sesame seeds. Heat the honey, water and sugar in a large, heavy-based pan over a medium heat. Bring to a boil, stirring until it thickens and reaches the soft ball stage*. Remove the pan from the heat and pour the mixture into a very large, heatproof bowl. Add the almonds and 3 cups of sesame seeds and stir together vigorously with a wooden spoon. Spread the hot mixture onto an oiled worktop. Sprinkle in the remaining 2 cups of sesame seeds, working it a little at a time into the mixture. Dampen your hands with cold water and roll into four ropes about 1-inch (2.5cm) in diameter. Cut diagonally into 1-inch (2.5cm) sections using a sharp knife dipped into hot water. Allow to cool at room temperature until hardened. 1. Make the latkes: Shred the potatoes and onions together in a food processor or with a grater or mandoline. Place in a strainer that’s been lined with cheesecloth. Toss with salt, to taste, and let sit over a bowl for 30 minutes. Gather the top of the cheesecloth and then use your hands to squeeze out as much excess moisture as you can. 2. Transfer to a bowl and mix in the eggs, lemon juice, flour and a few turns of black pepper. Heat a skillet with 1/4 inch of oil until shimmering. Working in batches so as not to crowd the pan, fry up loosely packed rounded tablespoons of the latke mixture until browned on both sides. Add more oil to the pan as needed. Transfer to a paper towel lined-plate and set aside until ready to use. 3. Prepare the hotdish: Heat 2 tablespoons canola oil in a large pot over medium high heat. Add the brisket, season with 1 1/2 teaspoons salt and a few turns of black pepper and cook until browned on all sides, about 10 minutes. 4. Reduce the heat to medium and add the onion, carrots and celery and cook, stirring, until softened, about 10 minutes. Add the red wine and cook for a few minutes until it’s reduced by half. 5. Add the brown sugar, tomato paste, canned tomatoes, stock, rosemary and apples and simmer uncovered for 2 1/2-3 hours, stirring occasionally, until meat is tender. You want the liquid to reduce and get quite thick and saucy; however, if it reduces too far to where it’s more gloopy than saucy, add a bit more stock. 6. Meanwhile, preheat the oven to 375°, brush the innards of the squash with the remaining 1/2 tablespoon of oil, sprinkle with 1/4 teaspoon salt and a few turns of pepper and roast until a fork pokes easily into the center; begin checking at 1 hour. Purée the squash and then stir it into your hotdish mixture with crushed red pepper. Taste and adjust seasoning. 7. Increase the oven temperature to 400°. 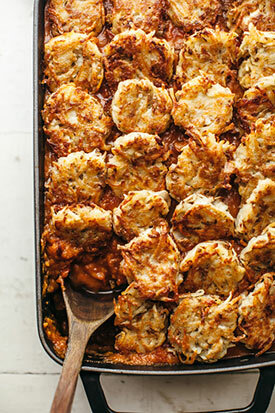 Transfer the mixture to an 8-by-12-inch casserole dish and top with latkes lined up in nice neat rows. Bake until the mixture is bubbly and the latkes are deep brown, about 45 minutes. Let cool slightly and then top with chopped parsley, if using, and serve. My first experience with Selichot occurred during my first year of rabbinical school in Israel. In the wee hours of the morning, we boarded a bus to a Sephardi synagogue in Jerusalem. The service, in the Sephardi custom, was held before sunrise. Forced to take anti-nausea medication before the bus ride, I remember little of that service, except for the warm, spiced tea that was shared with us during the service. Ever since, though, I have had a fondness for Selichot. There are a variety of points during the summer that could mark the coming of the High Holidays – Shabbat Nachamu after Tishah b’Av, the full moon of Tu b’Av (a minor Jewish holiday that celebrates love, observed primarily in Israel), the beginning of the Hebrew month of Elul – but it is Selichot, more than any other moment in our calendar, that tells me the High Holidays are near. 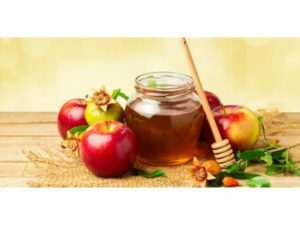 Typically, Selichot occurs at the close of Shabbat just prior to Rosh HaShanah, but when Rosh HaShanah occurs within close proximity to the Shabbat that precedes it, as it does this year, Selichot is observed a week early. It seems to me that this adjustment in the timing of Selichot tells us something of its importance. The word “s’lichot” means “forgiveness” or “pardon.” We know it from modern Hebrew in Israel, where s’lichah means, “Excuse me,” (or sometimes, “Out of my way!”). In the context of the High Holidays and the lead-up to them, S’lichot are prayers asking for pardon from God. 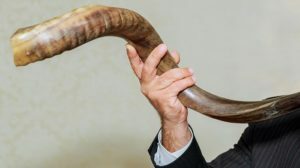 They first appear at Selichotat the close of Shabbat before Rosh HaShanah, but the S’lichot prayers appear throughout Rosh HaShanah and Yom Kippur and even into the remaining fall holidays of Sukkot and Simchat Torah. The presence of these prayers before, during, and after the High Holidays are a reminder that the path to forgiveness extends beyond the High Holidays themselves. We are encouraged to begin early, work earnestly, and take a little extra time, if we need it, to remedy whatever went wrong in the year that has drawn to a close. For me, the key to Selichot is the early start it offers. Rabbi Shneur Zalman of Liadi said that during Elul the thirteen midot—attributes of mercy—are shining. While this is also true on Yom Kippur, the difference is that during Elul the King is on the road; therefore, you are more comfortable addressing the King if He stops at your house. By Yom Kippur, the King has returned to His palace, and even though the thirteen attributes of mercy are still shining, you feel intimidated in approaching the palace without even knowing how to get past the palace guards. For many of us, myself included, the spiritual work of the High Holidays can be overwhelming. I often find myself caught off-guard by the liturgy, wondering if I can be better in the year that comes. Selichotoffers us the opportunity to prime the pump, to get our t’shuvah juices flowing before the big day. I know that’s what I’ll be doing this Selichot; perhaps, you will, too.